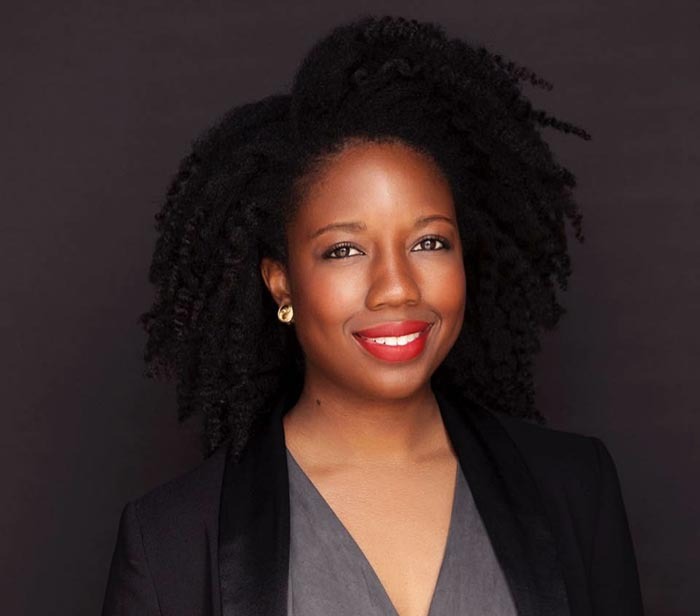 April 2019 — Jesse Tow (MPAff '15) has been appointed data strategist for Equity, Diversity and Inclusion at Vanderbilt University. 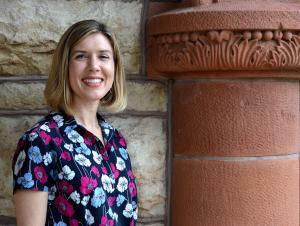 April 2019 — Congratulations to KU School of Public Affairs and Administration associate professor Rachel Krause (MPAff '05) on being awarded a KU Center for Sustainability Leadership Award for her research, coursework and governmental collaborations around sustainability and environmental policies! Read more about the award and winners. 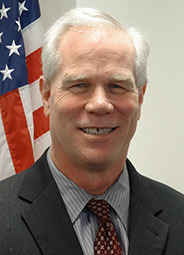 March 2019 — John Andersen (MPAff '83), Deputy Assistant Secretary for the Western Hemisphere, U.S. Department of Commerce, will retire this spring after a long and successful career in U.S. Government. John has been a good friend to the business community throughout his years at Commerce, and he will be dearly missed. February 2019 — Congratulations to David Berteau (MPAff '81), CEO of Professional Services Council, on his 2019 #Wash100 Award! February 2019 — Megan Reiss (PhD '16) has been named national security policy advisor to Senator Mitt Romney. 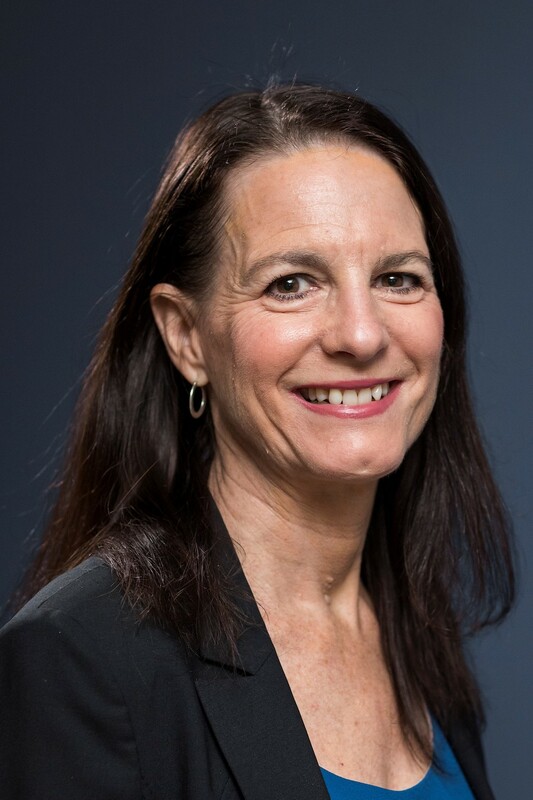 February 2019 — Power To Decide has named Andrea Kane (MPAff '85) as the recipient of the 2018 Sarah S. Brown Award for her distinguished career in leading efforts to support women, children and families! The award was established to recognize innovative leaders who have been strong, smart and bold in making significant contributions to the mission of Power to Decide. Congratulations, Andrea! Read the full announcement here. 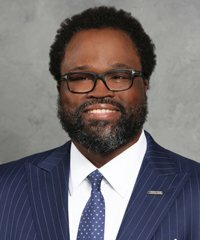 February 2019 — Congratulations to Irvin Ashford, Jr. (MPAff '94) on being honored in the 2019 Class of Influential Leaders by the Association to Advance Collegiate Schools of Business — the world's largest business education alliance! Read more here. 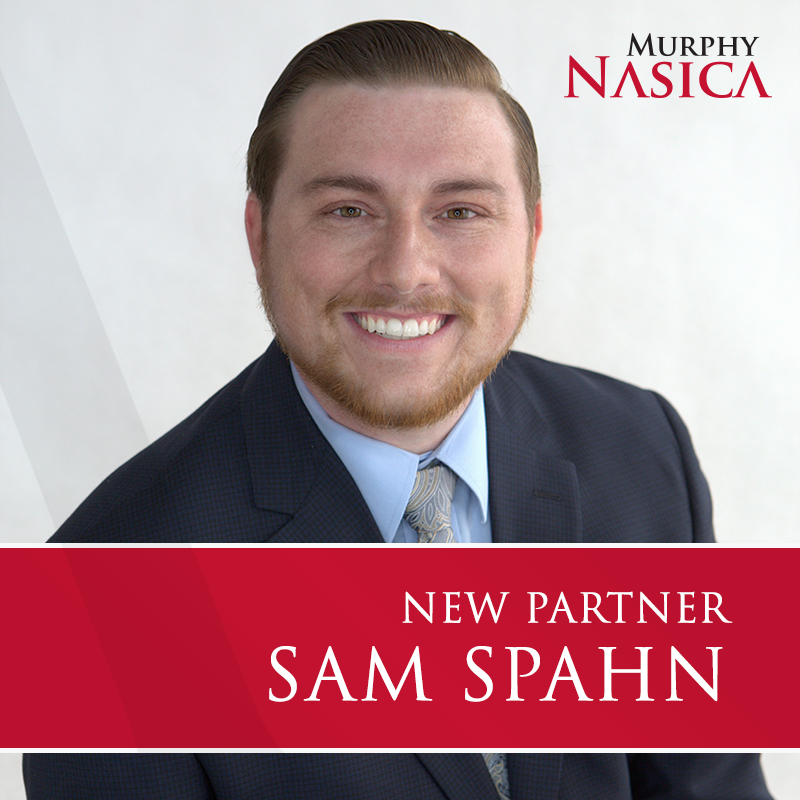 January 2019 — Murphy Nasica & Associates has announced the promotion of TWO #LBJAlumni to company partner! 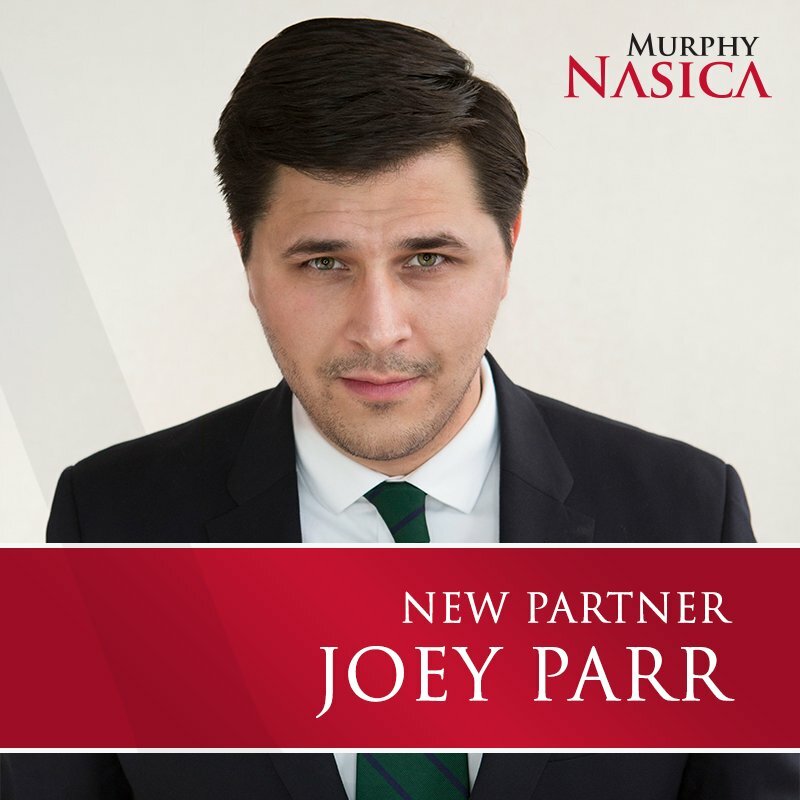 Congratulations to Joey Parr (MPAff '13) and Sam Spahn (MPAff '14)! Check out their press releases below. January 2019 — Yeo-Ri Kim (MGPS '18) recently started her position with the University of Georgia where she works with the International Center of the Carl Vinson Institute of Government as a Korea program coordinator. 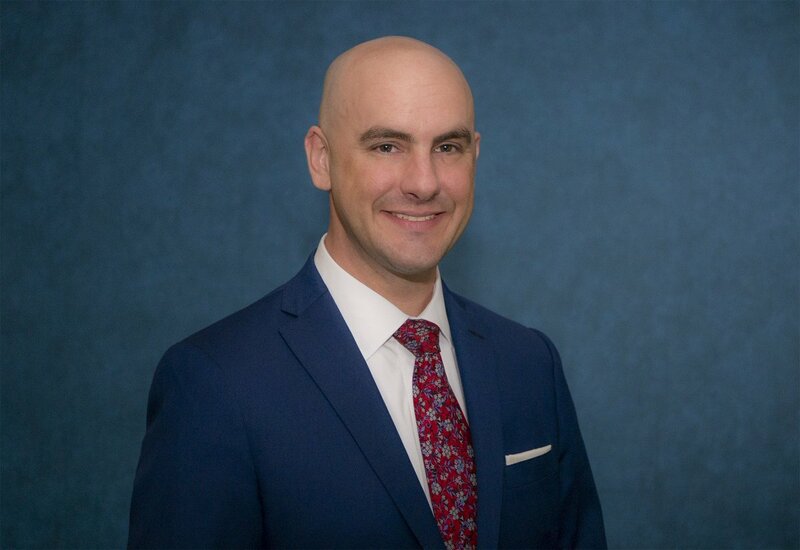 January 2019 — Congratulations to LBJ Alumni Board member Stephen Niemeyer (MPAff '92) on being named deputy director of environmental services for the Jefferson County Commission in Birmingham, Alabama! Starting January 22, he will be responsible for the wastewater treatment system for about 700,000 people. January 2019 — LBJ Alumni Board past president and fomer LBJ Washington Center Steering Committee president Jenn Poulakidas (MPAff '91) has been named new associate vice chancellor for government and community relations at UCLA. Read UCLA's announcement here and APLU's announcement here. January 2019 — Timothy L. Boncoskey (MPAff '85), Maricopa County Chief Deputy Assessor, Assumes Office of International Association of Assessing Officers President. Read the full press release. December 2018 — How a Cargill security analyst keeps people safe and women moving forward. (Spoiler alert: The senior security intelligence analyst is LBJ School alumna Claire Prestwood (MPAff '04)!) Read about how Claire tackles these issues. December 2018 — Joel Keralis​ (MGPS '17) was just promoted to Legislative Assistant in his current office (Nebraska Rep. Adrian Smith). He will now handle foreign policy, defense, health care and education for Rep. Smith, a seven-term senior member of the Ways & Means Committee. He will also be working closely with the Japanese Embassy to manage the U.S.-Japan Congressional Caucus, of which his boss is becoming co-chairman in 2019. 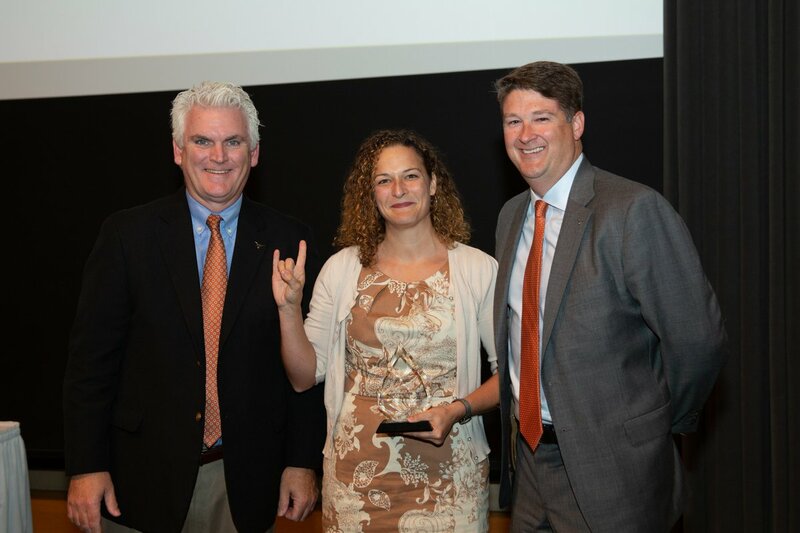 "This is a huge new opportunity, and has really only been possible due to my time at UT and the LBJ School." 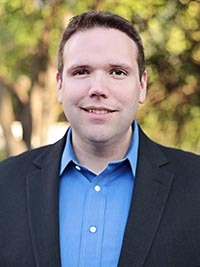 December 2018 — Trevor Whitney (MGPS '14) has accepted a four-year appointment to the Texas Veterans Commission — Veterans Communication Advisory Committee. He will help develop recommendations to improve communications with veterans, their families and the public regarding the services provided by the Texas Veterans Commission and information on benefits and assistance available to veterans from federal, state and private entities. December 2018 — United Nations Development Programme announced that Pedro Conceição (PhD '00) will be the next director of the Human Development Report Office. He will take up his new position on Jan. 1, 2019. 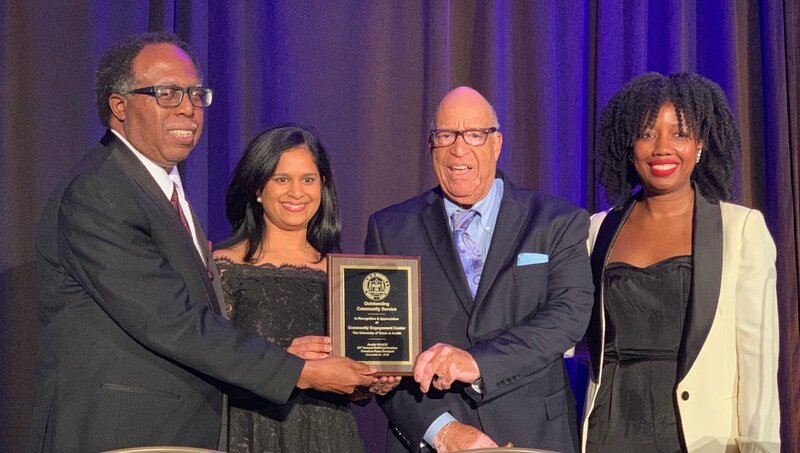 December 2018 — Irvin Ashford, Jr. (MPAff '94) is being inducted into the University of Dallas Satish & Yasmin Gupta College of Business Hall of Fame for 2019! Irvin currently serves as senior vice president for public affairs and director of community development and external affairs for Comerica Bank. He attended The Webb School and Oberlin College, and earned a Master of Business Administration from the University of Dallas and a Master of Public Affairs degree from The LBJ School of Public Affairs. He says, "LBJ gave me my professional start, so I never want to forget that." Read more about his career. 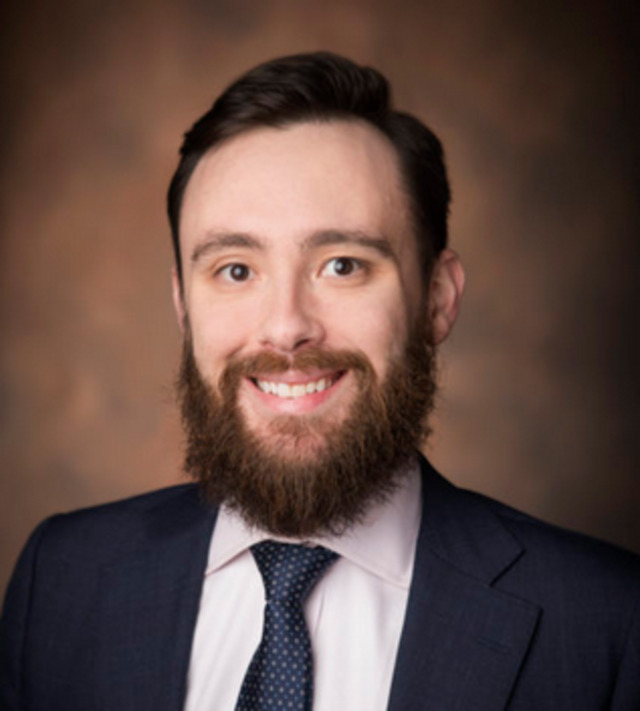 December 2018 — James Smith (MGPS '17) ⁦has been offered a position at the Congressional Research Service, where he'll show off his expertise on Asia and foreign policy. 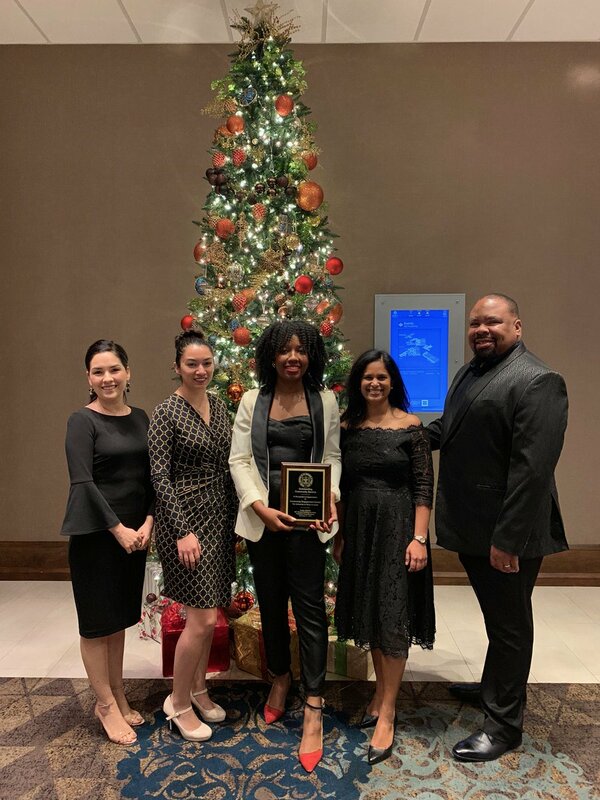 December 2018 — The NAACP honored Virginia A. Cumberbatch (MPAff '16) and the rest of the UT Austin DDCE Center for Community Engagement team. 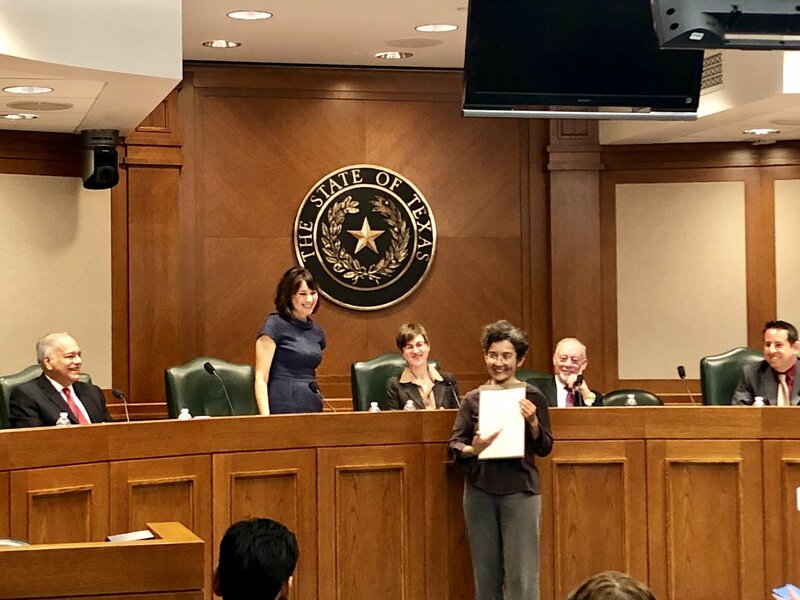 December 2018 — Texas State Rep. Gina Hinojosa presented Eva De Luna (MPAff '97) with a resolution honoring her 20 years of state service. December 2018 — Lisa Wallace (MPAff '10) will join Fionta's executive team as vice president of business development. 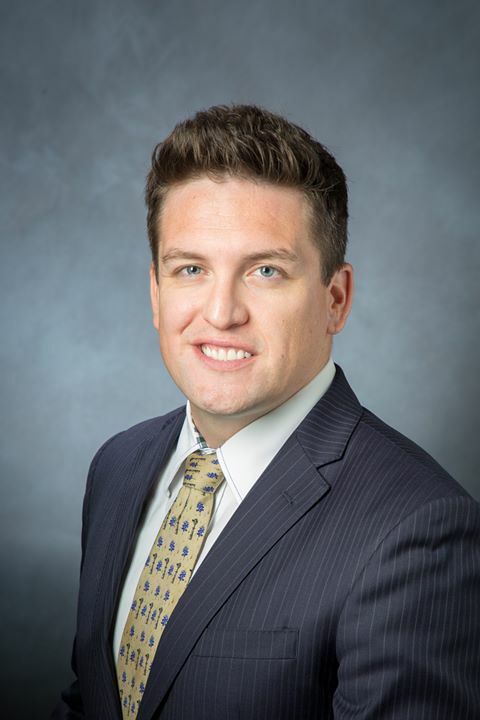 October 2018 — Jeremy Mazur (MPAff '99) has been named director of government relations for the Texas Railroad Commission. October 2018 — LBJ Class of 2013 grads Sarah Overmyer and Amy Madore are two of the creative minds behind The Juggle, "a space for women to connect, share stories and practical advice, and capitalize on our collective brilliance." October 2018 — President of the Mastercard Center for Inclusive Growth Shamina Singh (MPAff '97) helped make a $100,000 donation to Hurricane Florence relief efforts possible. 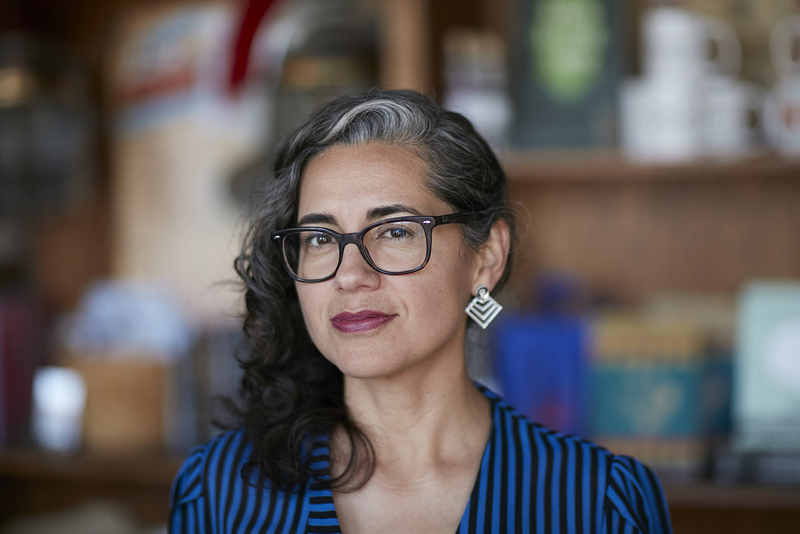 October 2018 — Vickie Vertiz (MPAff '01) has been named the winner of the 2018 PEN America Literary Award in poetry for her book "Palm Frond with Its Throat Cut." September 2018 — ⁦The Innovations for Peace and Development (IPD) met up with former IPD grad research fellows Deirdre Appel (MGPS '16) and Caleb Rudow (MGPS '17) in Buenos Aires for the International Open Data Conference. September 2018 — Stephanie Chiarello Noppenberg (MPAff '08) is a policy adviser for a state senator, but in her free time, she's a comedian. 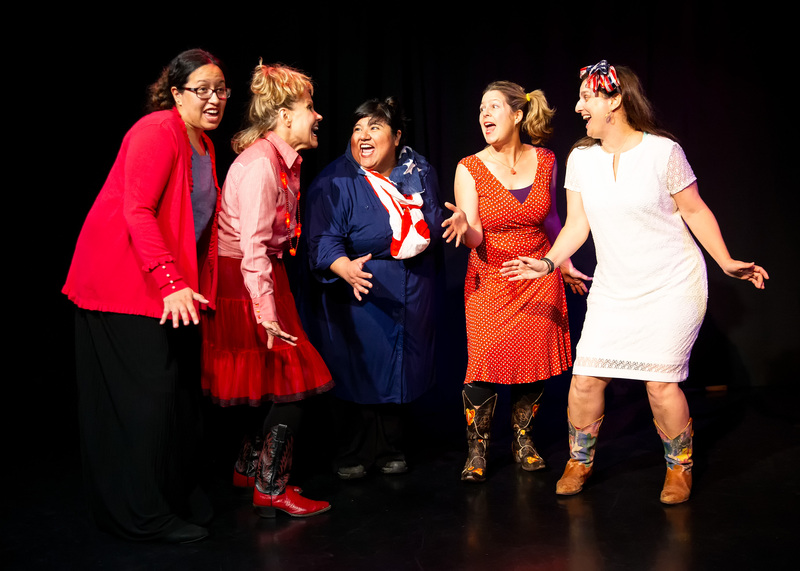 Stephanie created, hosts, and directs a political comedy satire show called "Over the Lege," which focuses solely on the Texas Legislature. It's a little "SNL" meets "The Colbert Report" meets musical theater. 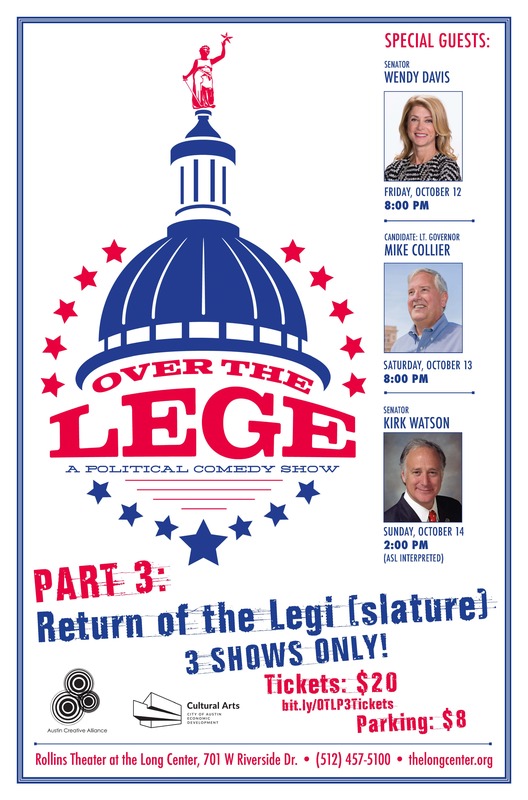 "Over the Lege" will be at the Long Center in October, and tickets can be purchased here. 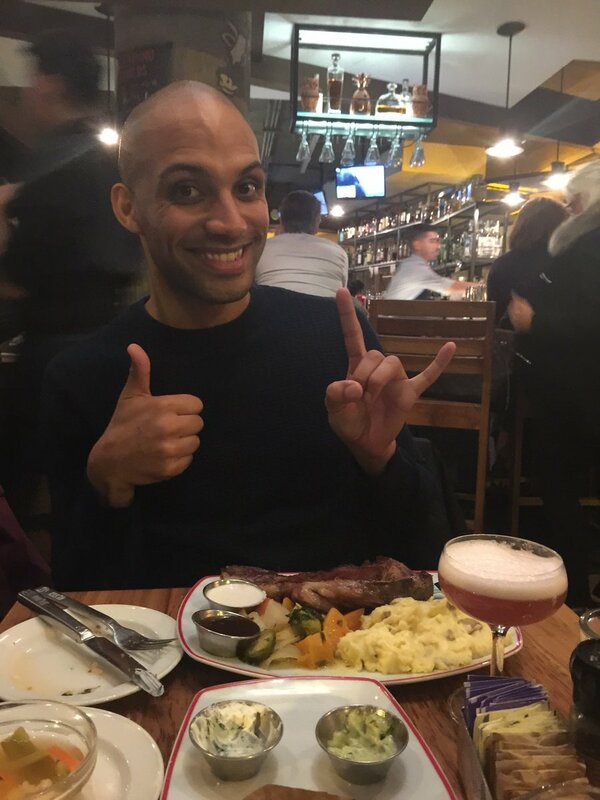 September 2018 — Matthew Cornelius (MPAff '13), LBJ School DC Steering Committee member, has been nominated for the FedScoop 2018 Most Inspiring Up & Comer award. Vote for Matthew here. September 2018 — The City of Beverly Hills has selected Eduardo Luna (MPAff '89) to become the city's first independent city auditor. September 2018 — CalPERS named Michael Cohen (MPAff '97) its new chief financial officer! This comes after his appointment to the University of California Board of Regents in August. August 2018 — Charles Hansen (MPAff '95) has some big personal and professional news to share. After 33 years working in and around the federal government in Washington, DC, Charles is changing careers. For the 2018-19 school year, he will begin teaching at Glasgow Middle School, which is part of the Fairfax County (Virginia) Public School system. He will be teaching mathematics (Pre-Algebra) to seventh and eighth graders. He is beyond thrilled to begin this new adventure! If you’d like to follow along, his Twitter handle is @CharlesMHansen. August 2018 — Spotted: Rena Pacheco-Theard (MPAff '12) on Built In Austin's list of UT Austin alums behind some of Austin's leading tech companies. 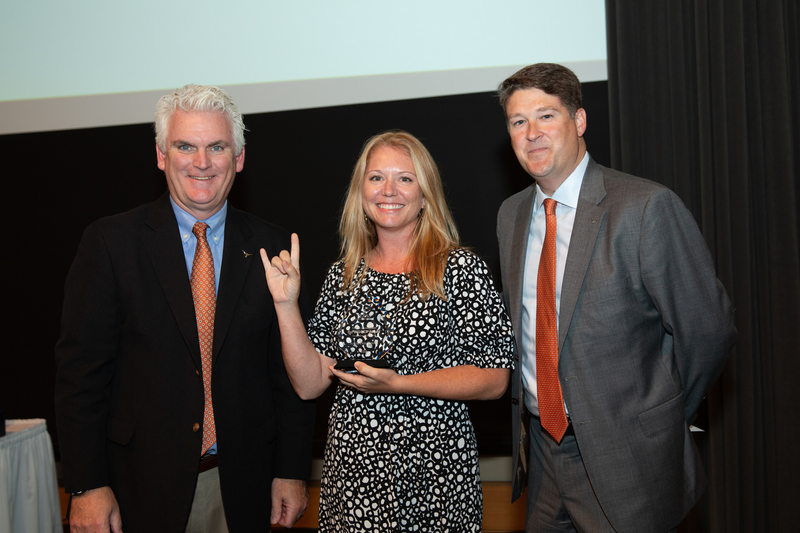 August 2018 — TEXAS Development honored team members for their work with UT Austin donors and friends at the Go BIGGER Awards, and two LBJ School alumni were among those recognized! Congratulations to Laura Turner (MPAff '13) and Angie Pete Yowell (MPAff '08)! August 2018 — Former U.S. Deputy Secretary of Agriculture Kathleen Merrigan (MPAff '87) has been named the first executive director of the Swette Center for Sustainable Food Systems at Arizona State University. 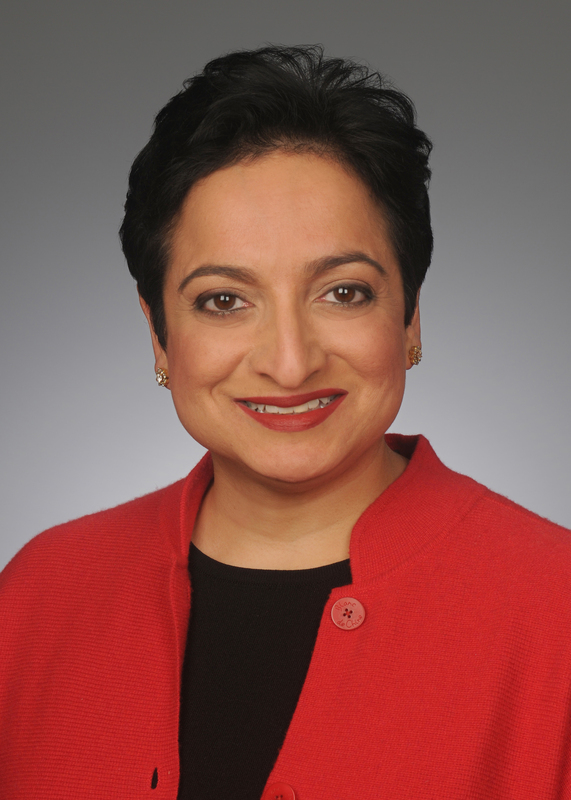 August 2018 — President of the Mastercard Center for Inclusive Growth Shamina Singh (MPAff '97) speaks with Forbes about "How Mastercard Could Close A $300 Billion Credit Gap For Women Entrepreneurs." August 2018 — California Gov. 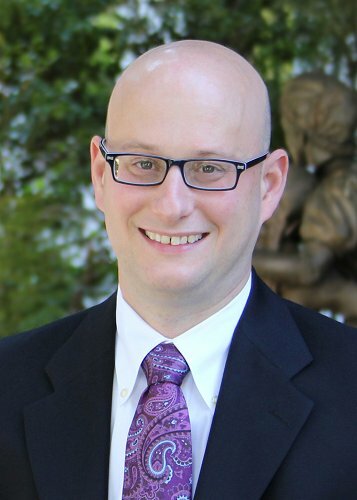 Jerry Brown has appointed his finance director, Michael Cohen (MPAff '97), as a University of California regent. August 2018 — Kathleen Merrigan (MPAff '87) has been ranked #1 on The University Network's list of seven "Women 'Killin It' In the Fight Against Climate Change!" August 2018 — Newly appointed Aledo ISD superintendent Dr. Susan Bohn (MPAff '02) writes about her vision for the school district. July 2018 — Strauss Center researcher Caitlyn Yates (MGPS '18) writes for TIME Magazine about the dangers faced by Asian and African migrants crossing the Colombia-Panama border. July 2018 — Andrea Kane (MPAff '85) joins Sen. Tom Carper and Isabell Sawhill in discussing how evidence-based policy can help reduce unplanned pregnancies and improve the lives of children and families. July 2018 — Travis County Sheriff Sally Hernandez appointed Alycia Welch (MPAff '15) to the Travis County Sheriff's Advisory Committee to help conceptualize what a gender-responsive and trauma-informed facility looks like. 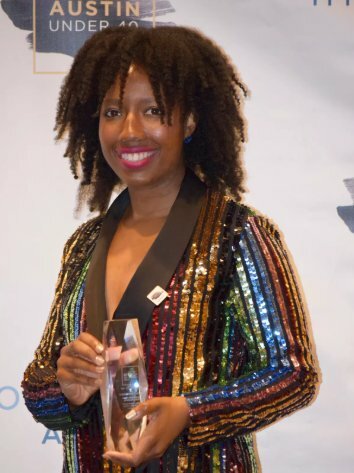 July 2018 — Virginia A. Cumberbatch (MPAff '16) spoke with The Alcalde about the Precursors, the first African-American undergraduates at UT Austin; the goals of UT Austin's Community Engagement Center; and her work in the Austin community. June 2018 — Michael Kingan (MPAff '90) has been named Southern Connecticut State University's new vice president for institutional advancement, effective July 9. 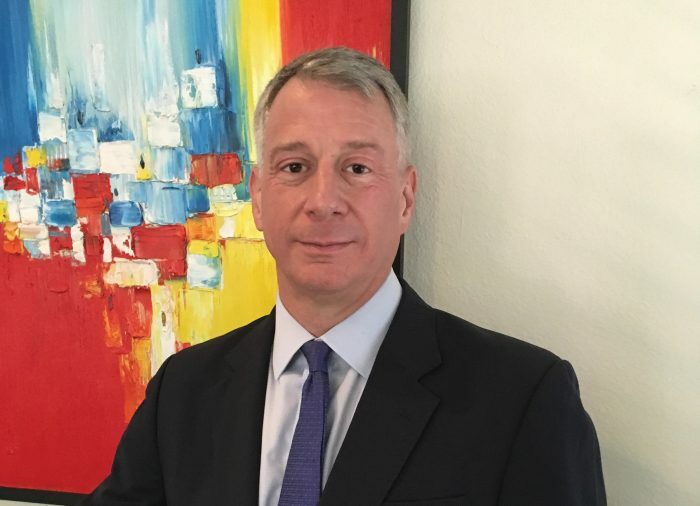 June 2018 — Don Grier (MPAff '92) is a new member of the LBJ Austin Area Alumni Board and a managing director at Accenture. He wrote a piece for the Accenture Career Blog about how he applies the lessons he learned from Barbara Jordan at the LBJ School. 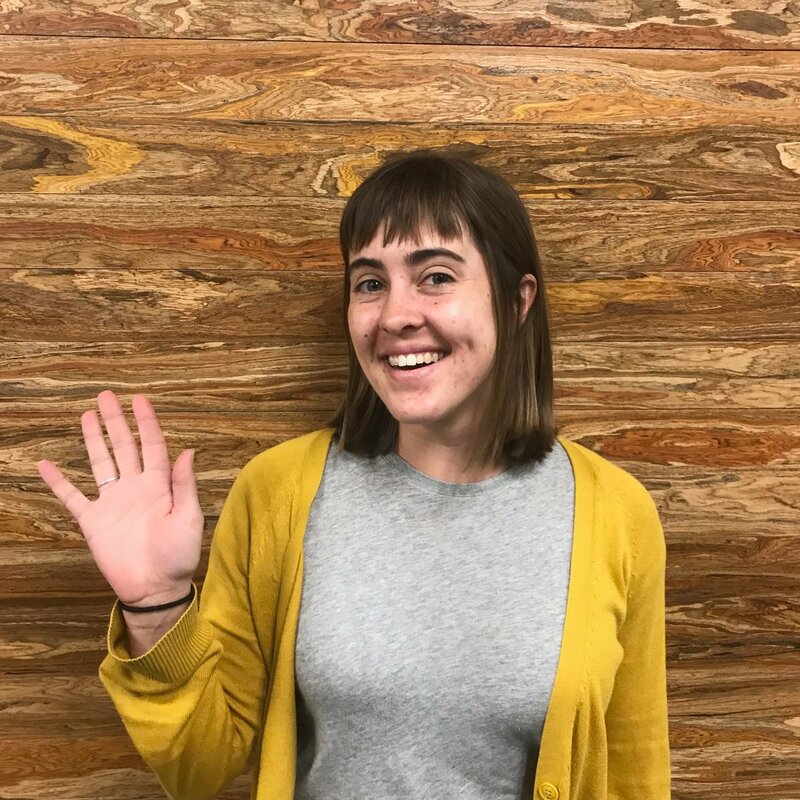 June 2018 — Flashback to last May when Kelsey Thompson (MPAff '18) was an Austin City Auditor summer intern and now she's back! 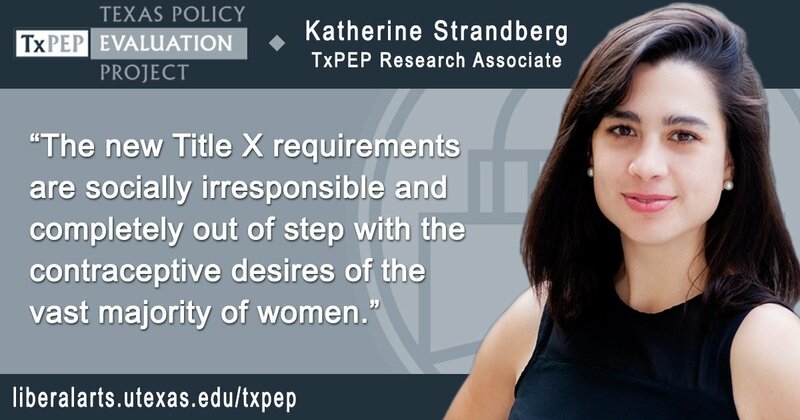 She has started her new job as an Auditor I.
June 2018 — Katherine Strandberg (MPAff '15) and Kristine Hopkins co-authored an op-ed for USA Today on the proposed Title X policy changes. 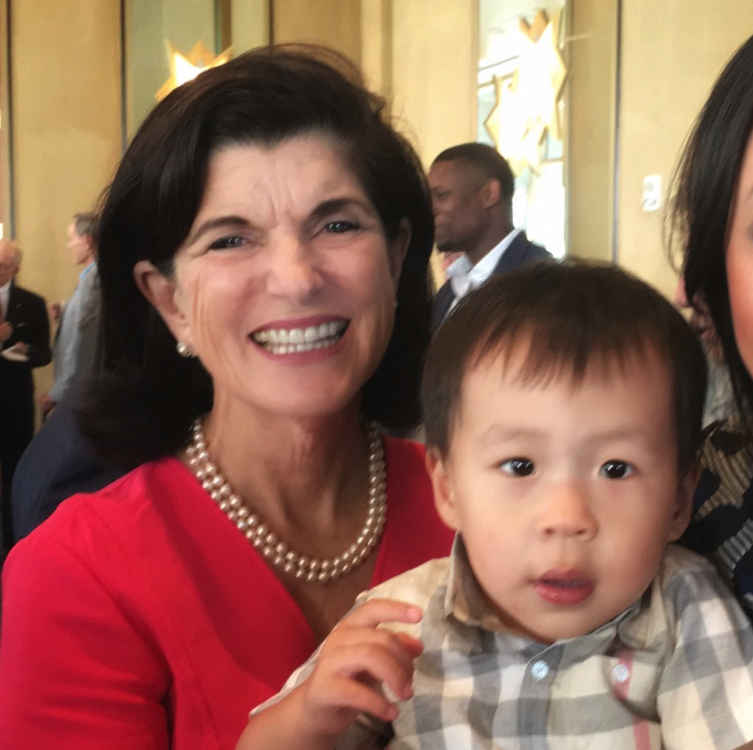 May 2018 — Texas State Rep. Gene Wu (MPAff '04) got to see his nephew, Lyndon, meet Luci Baines Johnson! She was in Houston for the LBJ monument launch. May 2018 — Aaron Milner (MGPS '16) and Erol Yayboke (MPAff '06), are co-authors on a new Center for Strategic & International Studies report "Confronting the Global Forced Migration Crisis." 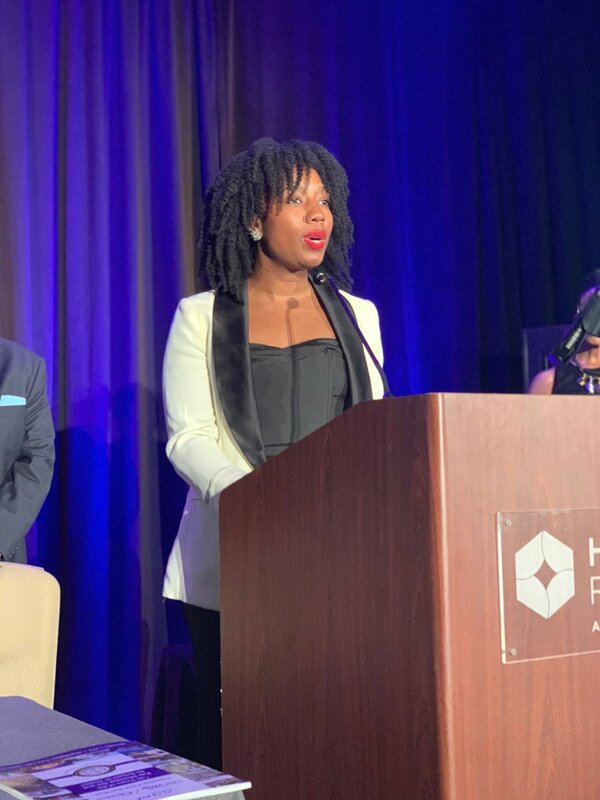 May 2018 — Virginia A. Cumberbatch (MPAff '16), director of UT Austin's Division of Diversity and Community Engagement, Community Engagement Center, was honored at the Austin Under 40 Awards ceremony. 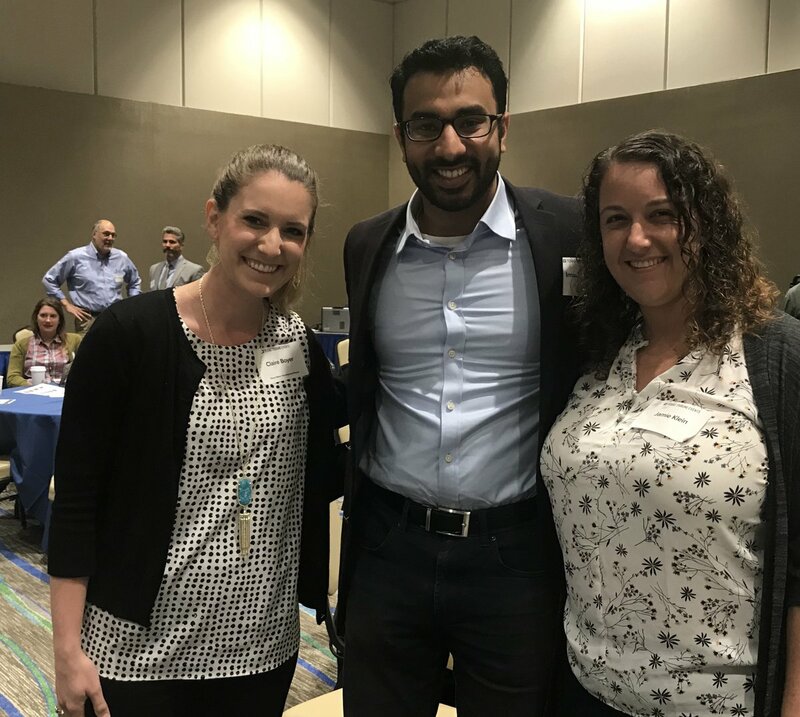 May 2018 — LBJ Class of 2016 alumni Claire Boyer, program specialist, Texas Water Development Board; Imaad Khan, policy analyst, Texas Impact; and Jamie Klein, director of policy and community relations for Rep. Abel Herrero, attending today's "Rebuilding After Hurricane Harvey: A Texas Tribune Symposium" in Corpus Christi, Texas. May 2018 — Madison Sloan (MPAff '05) comments on the fair housing suit against the HUD. Read more via NPR. March 2018 — LBJ Class of '14 alums Keith Salas and Kathryn Flowers (middle and right), met at the LBJ School almost six years ago. 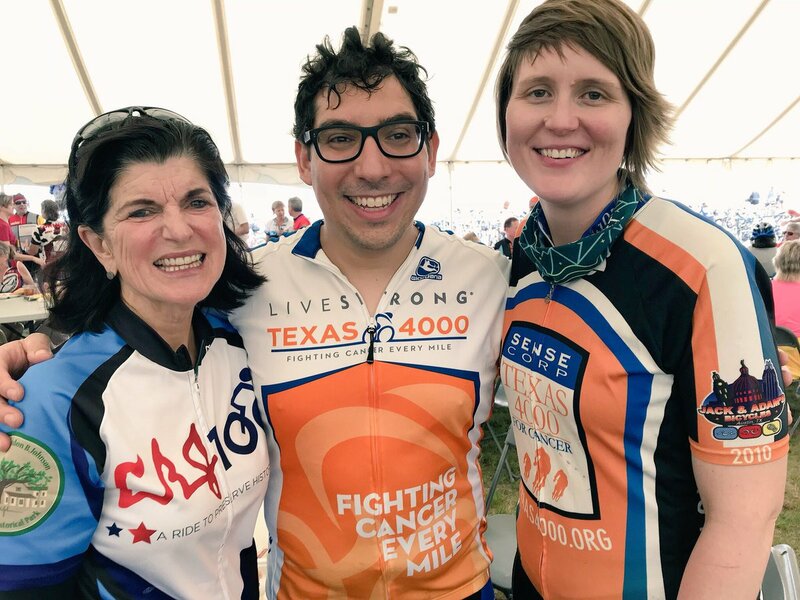 On Saturday, March 24, 2018, they completed their sixth LBJ 100 Bicycle Tour and during the ride, Keith proposed! March 2018 — Joe Jenkins (MPAff '16) speaks at SXSW on Veteran Voices. Read more here. 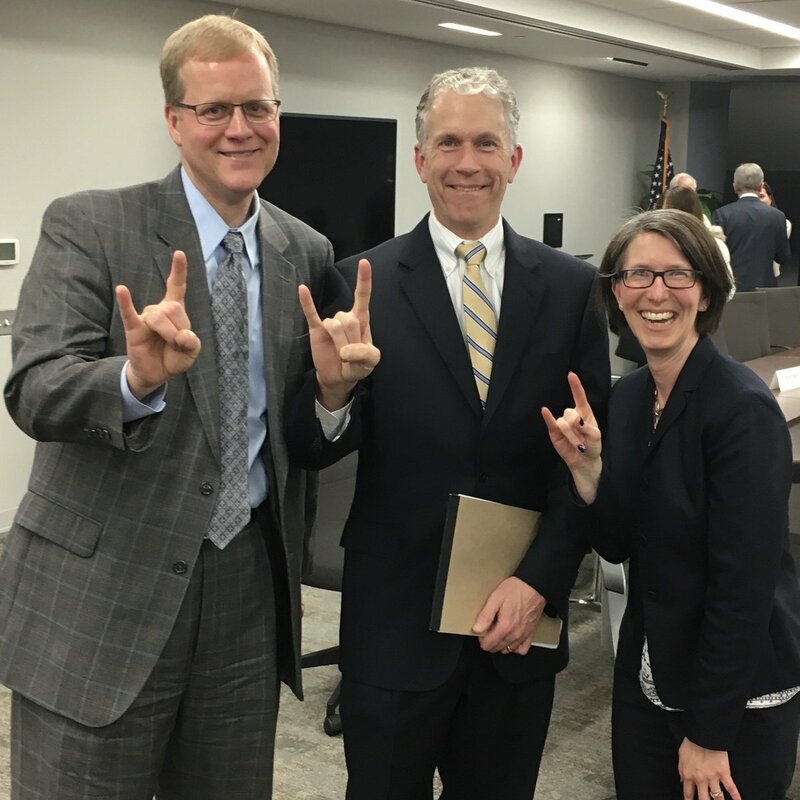 February 2018 — (left to right) Brent Riddle (MPAff '98), senior transportation planner; Wyatt Shields (MPAff '98), city manager; and Wendy Block Sanford (MPAff '01), transportation director, putting their LBJ degrees to good use at a regional transportation meeting in Northern Virginia. January 2018 — Jamie Hall's (MPAff '04) Laurel Canyon Association bought a mountain! Read about their partnership with Citizens For Los Angeles Wildlife, Inc. and the successful two-year fundraising campaign. December 2017 — Matthew Randazzo (MPAff '03) has been named The Dallas Foundation's next president and CEO. October 2017 — Madge Vásquez (MPAff '01) has been named new CEO of Mission Capital. September 2017 — Jason Batchelor (MPAff '04) has been named Aurora Interim City Manager in Aurora, Colorado. Batchelor has served as deputy city manager since 2015 and is also the city's former Finance Department director. September 2017 — Bina Lefkovitz (MPAff '86) was inducted as the new Trustee for Area 1 for the Sacramento County Board of Education on Aug. 25, 2017. August/September 2017 — Stephanie Chiarello Noppenberg (MPAff '08) currently works as district director and senior policy analyst for Sen. Kirk Watson here in Austin. But in her spare time she directs a live political satire comedy variety show based on the shenanigans of the Texas Legislature called "Over the Lege." It runs for eight shows — Friday and Saturday nights at 8 p.m., from Sept. 8 through Sept. 30. It plays at the Institution Theater. June 2017 — Alan Thomas (MPAff '94) was sworn in as commissioner, Federal Acquisition Service, U.S. General Services Administration. May 2017 — Kristen (Ruhnke) Sunny (MGPS '14) married her high-school sweetheart, Robin Sunny, in Dallas. Congratulations Kristen and Sunny! March 2017 — Sumant Singh (MPAff '15) is serving as secretary of the Department of Rural Development and Local Governance in Manipur, India — a northeastern Himalayan state. March 2017 — Shamina Singh (MPAff '97) participated in a panel on "Disrupting Global Hunger: Moonshots for Humanity" during SXSW 2017. February/March 2017 — Martha Bohrt (MPAff '16), Ellen Scholl (MGPS '15) and Rachel Hoff (MGPS '14) were selected as three of 30 American, German and European fellows to participate in the Atlantic Expedition, a fellowship and exchange program organized by Atlantische Initiative in Dresden, Hamburg and Berlin, Germany. They networked and discussed ideas for modernizing transatlantic relations with political leaders. They didn't know that the other had applied or were selected but were pleasantly surprised to see such a strong LBJ School presence. January 2017 — Norris Cochran (MPAff '95) served as acting secretary of The Department of Health and Human Services from Jan. 20 to Feb. 10. January 2017 — Len Redding (MPAff '72) came to visit and had lunch with a small group of students and staff. 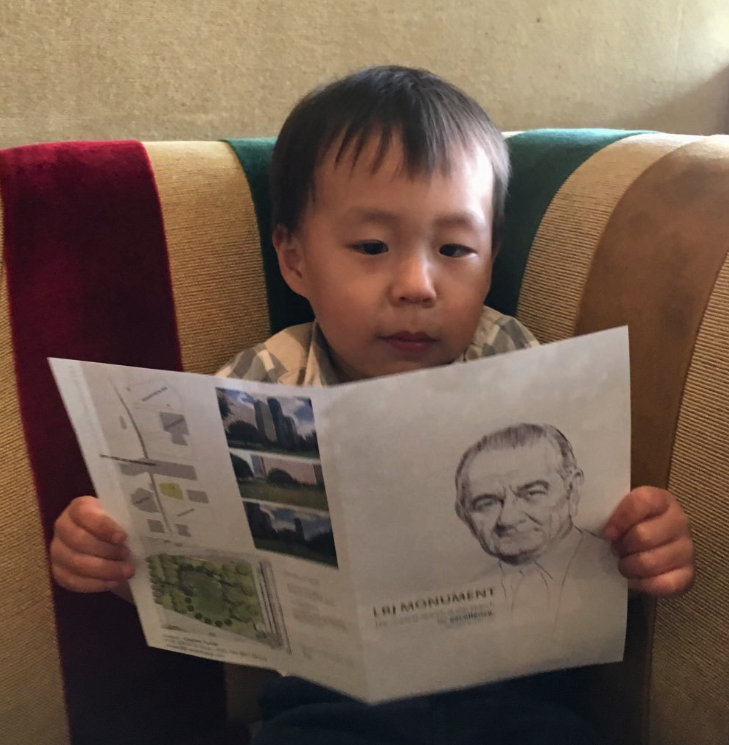 Len recounted stories of his time as a student and shared photos of a visit to the LBJ Ranch. January 2017 — Congratulations to Rachel Hoff (MGPS '14) on her engagement to Kate Meck on Jan. 15. Their engagement made the Politico Playbook on Jan. 17, 2017. January 2017 — Ben Isgur (MPAff '98) was named director of the Health Research Institute at PricewaterhouseCoopers. January 2017 — John Anthony Martin (MPAff '14) was sworn in on Jan. 3 as a Hillsboro City Councilor in Hillsboro, Oregon. 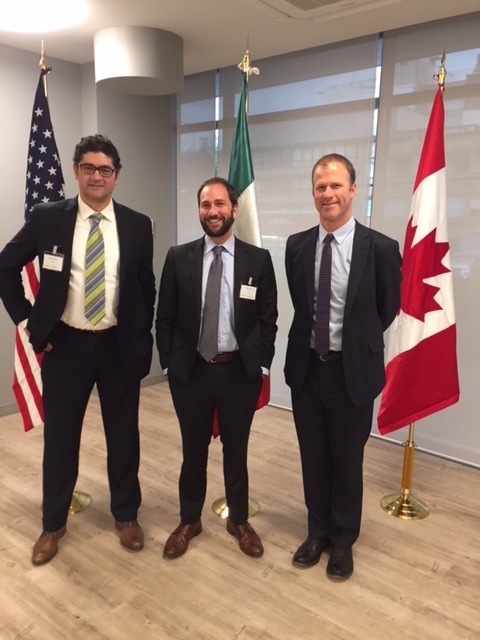 December 2016 — Fernando Rodriguez (MPAff '05), Drew Nelson (MPAff '03) and Jonathan Banks helped organized an upstream methane abatement workshop for the oil and gas sector for Mexican regulators and industry officials in Mexico City on Dec. 15. (Below left to right: Rodriguez, an international affairs specialist at the Office of American Affairs at the U.S. Department of Energy; Nelson, senior manager — natural gas for Environmental Defense Fund; and Banks, senior climate policy adviser at Clean Air Task Force). December 2016 — Adam Torres (MPAff '14) made it on "NPR's All Songs Considered: The year in music in 2016" list. Torres' "Juniper Arms" also made NPR's top 100 songs of 2016, alongside songs by well-known artists like Radiohead and Beyoncé. Watch his NPR Tiny Desk Concert. December 2016 — Shamina Singh (MPAff '97) was named the global sustainability lead of Mastercard. October 2016 — The Texas State Board of Education Vice Chair Thomas Ratliff (MPAff '94) received the Golden Deeds Award, considered the most coveted award in the field of Texas education and the highest recognition for distinguished service to education in the state. Ratliff created a video message for the award presentation as he wasn't able to attend.